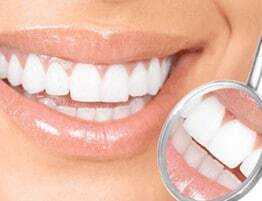 Miami Invisalign treatments are becoming popular among both holistic dentists as well as the patients they treat. Invisalign has gained support from the holistic dental community primarily for its minimally invasive method of straightening teeth. These revolutionary “removable” orthodontic braces effectively straighten teeth without disrupting the normal eating, brushing, and flossing habits of the patient. As a result, patients are able to comfortably straighten their teeth while minimizing the chances of developing tooth decay and gum disease! 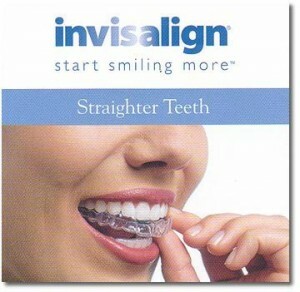 Invisalign is considered “minimally invasive” because of how the technology goes about straightening teeth. 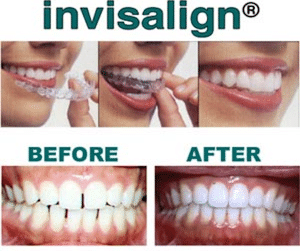 Invisalign uses clear surgical-grade plastic aligners that slip over the teeth and gently shift them into alignment. By contrast, traditional metal braces require permanently affixing metal brackets to each tooth that needs shifting. A wire is then threaded through those brackets, and an Orthodontic professional periodically tightens the wire to pull the brackets, and teeth, closer together. Invasive is a medical term used to describe the extent to which a procedure penetrates the body cavity. A minimally invasive procedure, then, is one that performs a specific operation while penetrating bodily tissues to the lowest degree possible. Invisalign is considered minimally invasive because the patented Invisalign aligners are smooth, comfortable, and removable. They incur very little damage to the inner cheek and gum areas, whereas traditional metal braces commonly scratch, cut, and irritate those tissues. The foundation for tooth decay is built by food particles that are left in the teeth after meals. Patients with traditional metal braces cannot remove their orthodontic devices before meals or prior to brushing and flossing. It is very easy for food particles to get tangled in the brackets and wires of metal braces, making it very difficult for these patients to thoroughly clean their teeth on a daily basis. This causes patients with metal braces to experience a higher incidence of tooth decay during treatment. Invisalign aligners are fully removable, however, allowing patients the convenience of removing their orthodontic devices to eat, brush, and floss like normal. As a result, Invisalign patients are able to maintain cleaner smiles during treatment, which decreases the chance of developing tooth decay. Are you interested in learning more from a Miami Invisalign professional? Assure a Smile is a holistic dentistry practice with over 20 years experience providing superior quality of services to the Miami area. Our team takes a genuine interest in the well being of our patients and provides only the best quality holistic health services to our patients. Assure a Smile invites all South Florida residents to schedule an appointment online to learn more about the Invisible Braces System that has created “over 1 million smiling faces!” South Florida residents may also call Assure a Smile directly at 305-274-0047.